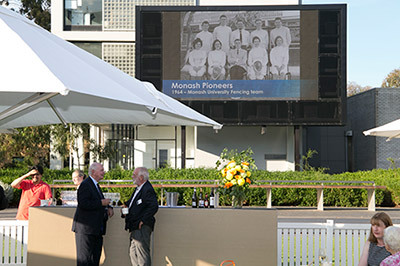 More than 300 of the University’s first students and staff members, including the first ever Monash undergraduate Brother Michael Lynch, came back to the Clayton campus on Thursday 23 November for the reunion reception of the Monash Pioneers. The Pioneers are the first cohort of those who studied or worked at Monash between 1961 and 1965, and form an important part of the University’s history. Guests were welcomed to the Northern Plaza, where the evening was hosted, by Damien Farrell, Vice-President (Advancement) and Monash alumnus, alongside Monash Pioneers network Chair, Michael Headberry. For many this was their first time reconnecting with their classmates since their pioneering days. 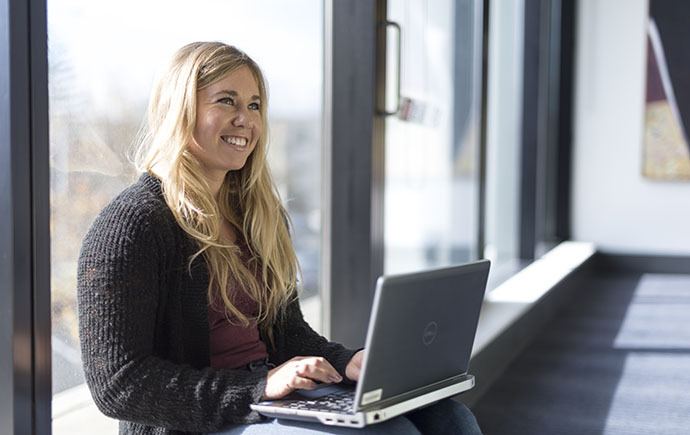 The Monash pioneers have since founded careers in academia, law, medicine, journalism, politics, the public service, teaching, engineering, science and more. Despite the heat, guests spent several hours networking with their old colleagues and classmates in front of historical Monash picture displays. Pro Vice-Chancellor Professor David Copolov AO addressed guests reminding them of the important role they have played at the University, and crediting them for their generosity in erecting the Sir John Monash statue, a now iconic feature at the Clayton Campus. Michael Headberry, a pioneer of the pioneers, thanked Monash for bringing the group back together, and creating a generation of competitive, sought after graduates who were able to excel in their selected fields. The evening ended with several short campus tours, allowing pioneers to see the many changes to campus since they last left Monash.